For a relatively small area, there are perhaps more churches in Westbourne than you might expect. There are two substantial Church of England churches, as well as a Baptist Church and a Catholic Church. The former Methodist Church still stands, although no longer serving its original function. Today’s blog is intended to be a brief study of the churches in Westbourne. In the future, I will do a more in depth study of each individual church and their histories. The Catholic Church has perhaps the most interesting history, yet is the easiest to miss. It lies tucked away behind the shops in Seamoor Road. It is accessed through an almost insignificant alleyway between numbers 31 and 33. Yet, it is quite a pearl, providing an opportunity to worship more or less in the centre of the shopping area. Perhaps most prominent, the Baptist Church is located on the main Poole Road at the junction of Grosvenor Road. Its corner location, and substantial building mean it is easily visible. It stands opposite the Bingo Hall, almost as if it is keeping a watchful eye. 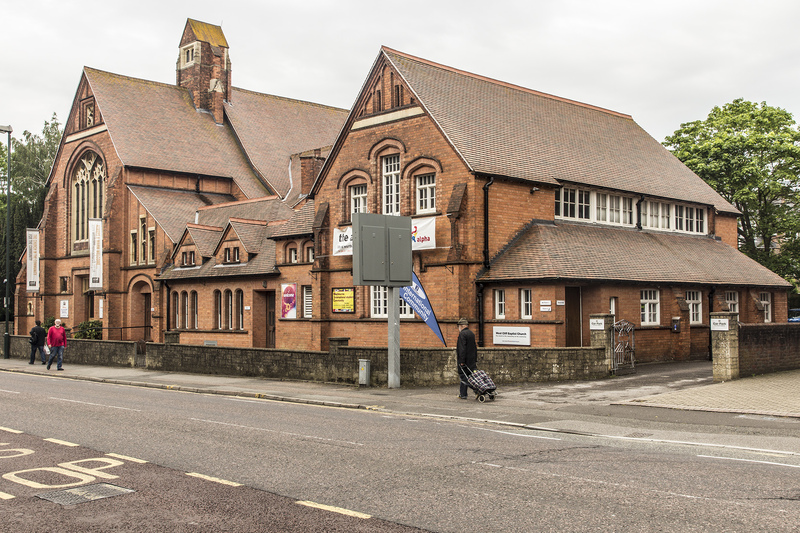 Also in a very visible location on Poole Road, is the former Methodist Church. In 2010, it reopened its doors as a Tesco Express, with a restaurant occupying the upper area. In Alumhurst Road, is the Anglican Christ Church. Originally based in what is now the Catholic Church, it moved to this current site (between 42 and 44 Alumhurst Road) in 1913. Last, but by no means least, the final church to look at is St Ambrose. The Parish Church of Westbourne, it is located on the corner of West Cliff Road and West Overcliff Drive. Photographs show this fine building as quite exposed when it was first built. Today, however, the trees have grown up around it, making it quite difficult to photograph.